In aerospace parlance, “architecture” refers to the overall mission plan from launch to landing, and every change of orbit and docking that takes place in between. 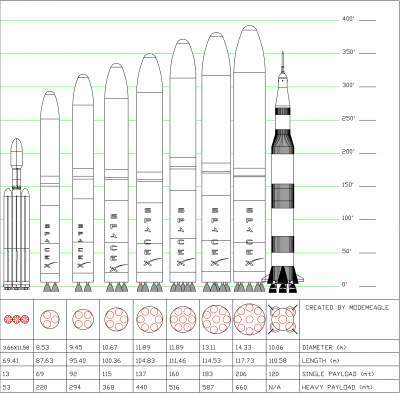 The Apollo mission architecture, by way of example, was to send both the crew’s command module and lunar lander on the same, gigantic Saturn V rocket into the Black. In Earth orbit, the crew would “unpack” and dock with the lander like a truck driving up to and hitching up a trailer, then fire it’s engines on a path towards the moon. Once arriving at our planet’s satellite, the ship would be turned around to fire the engines again as a way to step on the brakes and enter an orbit around the moon. Finally, two crew members would climb in the lander, undock, and descend to the surface and the history books. Returning to Earth is accomplished by repeating each step in reverse. Ever since the first landing in 1969, NASA scientists have been drawing up plans to go one giant leap further to the next planet out from the sun, most of those plans taking the same simple, brute force approach. The problem is, such architectures depend on massive, expensive rockets built to a scale that America hasn’t dared in years. The truth, though, is that such blunt instruments are no more necessary to achieve the frontier than driving your car to the end of the driveway to get today’s mail from the mailbox. Recent times have seen renegade rocket scientists dare to go against the long-held belief in the Great Big Rocket that most of the aerospace world still clings to. We’ve brought up one of the front-runners that’s gained significant traction in the wake of the 2008 recession, a dream of engineer Robert Zubrin called Mars Direct. The first rocket launches an unmanned “return vehicle” that will be the crew’s ride home after spending the next year combining liquid hydrogen with the Martian atmosphere to create enough (free) rocket fuel to top off the tank. The crew then takes the slow and leisurely route, possibly using a counterweight at the end of a tether attached to their craft to induce a sort of centripetal force-derived artificial gravity for convenience. Without the need to carry the resources for their return with them on the way out, the weight can be dedicated to additional emergency supplies, a rover with all the bells and whistles, or other celestial luxuries. The benefits, proponents argue, are many: There’s a substantial boon in terms of astronaut safety in knowing that, whatever ills may befall the first intrepid explorers, they’re guaranteed a safe ride home before they’ve even left. The real kicker, though, is the price tag– even with the proverbial Big Dumb Rocket, the most conservative of financial estimates consistently showed that Mars Direct would cost NASA and the taxpaying public less than the space shuttle program did. 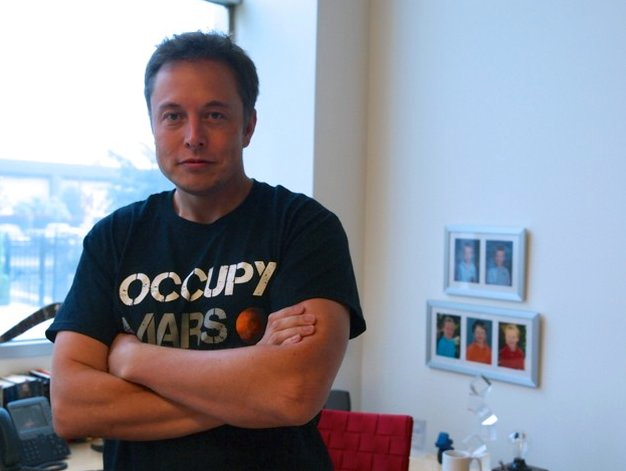 As a fervent advocate for colonizing the Red Planet with a permanent human settlement, Elon Musk must already be familiar with Mars Direct, and he must know that his audience on Reddit knew what it is too. So it seems unlikely that he intends to bring Zubrin’s dream to life– at least, not in its pure, original form. Elsewhere in his remarks, Musk hinted, “Good thing we didn’t do it sooner, as we have learned a huge amount from Falcon and Dragon.” The real question, then, is what is it that happened during the past few flights, the advent of manned Dragon v2 and powered landing tests over the ocean that changed their Mars architecture, and just what would those changes have been? The likeliest answer I have so far is that initial tests of the Falcon 9-R and landing the Dragon v2 contract have prompted them to modify Mars Direct to adapt it to their capabilities. Some years back, I attended an address given by a Canadian associate of the Mars Society, Zubrin’s following of fellow true believers of space. He gave a solid pitch for his “Mars Semi-Direct” plan of breaking the mission up into several launches, using then-existing boosters made by ULA to bring tanks of fuel up. I’m thinking SpaceX plans on tweaking this to take advantage of their vehicles’ flyback ability. Musk has confirmed that MCT will include a new rocket, larger than any that the company has ever built (and had numbers describing its theoretical performance to back it up), that will likely include this feature. This gives them tremendous cost savings over multiple flights, at the cost of a not-insignificant reduction in how much they can take up in one trip– meaning it will get broken up into additional flights, though not as many as Semi-Direct proposed. While the rocket’s size and shape are coming to light, and in-house-developed spacesuits are also slated to debut later this year, the major pieces remaining in the puzzle of Musk’s Martian architecture are a landing craft and some form of housing for the first settlers of the new world, and it also remains to be seen whether the ship that makes history will be a Dragon v2, or a new, yet-to-be seen craft that is still in the works. The v2 itself is scheduled for its first manned demonstration flight in 2016 or 2017. Historically, manned missions of both the Apollo and shuttle programs have started their major preparations, including selection of astronaut crew and commencement of training, roughly a year in advance. It stands to reason that the first flight of a new, private ship made by the people will be no different. We here at Take Back the Sky are leading a campaign to write CEO Elon Musk through both letters and petitions to have that craft named Serenity, after the titular ship from the cult-hit film of the same name and television series Firefly. Signing takes only a moment, and writing a letter is so easy, you can even do it while you watch a replay of the footage from last Saturday’s launch!